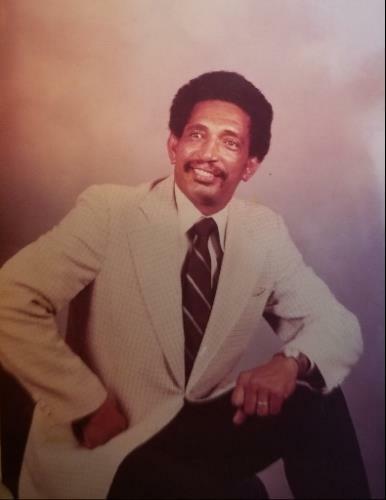 Fredro Collins Knight Sr. – a lifelong resident of Mobile, departed this life on Sept. 16, 2018. He was 83. After graduating from Central High School in 1951, Mr. Knight studied chemistry at Talladega College. It was there that he met and married the love of his life, his wife of 54 years, Channie Bush Knight. Until his retirement in 1987, he worked for the public school system. After earning a masters degree from Tuskegee University in 1961, he worked as a middle and high school principal, as well as a professor at Bishop State. He was described by former students as having a positive influence on their educational goals. He was a very active member of Omega Psi Phi Fraternity, Utopia Club, Talladega Alumni Association, and the Mobile Retired Teachers Association. He loved watching westerns and was an avid sports enthusiast, especially football. To his children & grandchildren, he fostered a sense of entrepreneurship, an interest in math & science, determination & wit. He was preceded in death by his parents, his wife, and all of his siblings. He is survived by his children, Gaynor Jones, Janice Cooper, Judy Banks, Fredro C. Knight Jr., their spouses, & nine grandchildren. The viewing will be held from 4-7 PM, Sept. 28, at Hodge's Chapel, 701 Dr. Martin Luther King, Jr., Ave. in Mobile. The funeral services will be Sept. 29, at 10 AM at St. James Major Catholic Church, with a visitation beginning at 8 AM. The burial will be held at the Catholic Cemetery immediately following the services. The repast will be held at 1 PM at The Helena. In lieu of flowers, the family respectfully requests that donations be made either to St. James Major Catholic Church, Talladega College, or Fredro C. Knight, 2428 N Creek Circle Dr., Mobile, AL 36617 (please add "Memorial Fund for Mobile Schools"). Services entrusted to Hodge's Chapel L.L.C. 701 Dr. M.L. King Jr. Ave. Mobile, AL 36603.